it isn't taking advantage of other cloud benefits. Chas Moloney director Ricoh UK and IrelandResearch published by Ricoh Europe reveals the public sector in Europe is the industry most likely to use cloud technologies for document sharing, but 52 per cent of senior public sector employees say it has made managing documents more difficult. The survey was carried out across Europe, including Ireland. "It seems the public sector is not maximising the benefits of cloud computing, including easier access to information, increased knowledge sharing and improved business agility. 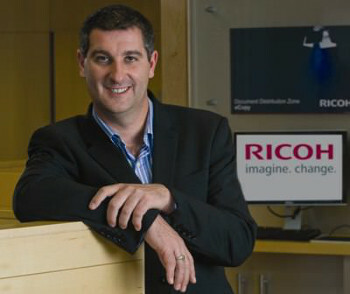 This could be due to disconnected document processes, where the process, the technology, and the way people work are viewed in isolation instead of as equal parts that need to work seamlessly together," says Chas Moloney, director, Ricoh UK and Ireland. The study shows that 47 per cent of public sector organisations use the cloud to share documents, and 71 per cent use it to enable mobile access to documents. But while those in the public sector recognise that new technologies can help them to more effectively serve their citizens, in the majority of cases (69 per cent), investments are being made in new technology before the functionality of existing systems is fully realised. "With the public sector focused on delivering high quality services, it's important that document processes are helping it to engage effectively with the public it serves, with accurate information being shared between departments in a secure and effective way. Increasingly, the sector is being expected to share information in an electronic format, with the cloud able to play a central role in the migration of documents from paper to digital. By working with an expert in document management to make the transition, the public sector can be confident that information will be accessible when it's needed, in the right format; with technology supporting, rather than hindering, the flow of information," continued Moloney. "One of the particular challenges the public sector faces is striking a balance between making information accessible, both to employees and to the public, and protecting confidential details. Regular reviews of document processes in the sector will help identify potential risks and opportunities to improve the sharing of information in a secure way," he added. * 83 per cent of those in the public sector say they have access to some of the latest devices, such as smartphones and tablets, but their use is being hindered by back-end legacy systems. * There is a divide between technologies provided to the front office and back office, resulting in potential bottlenecks, duplication of effort, delays in accessing real-time information and security risks. * 83 per cent of public sector employees say they are being held back by outdated working practices that prevent them from being as effective and efficient as they could be. * While 52 per cent say their information security is better now than in 2009, only 44 per cent could confirm their document processes are secure, with the public sector consequently exposed to risks from data leaks. The research, the Ricoh Document Governance Index 2012, conducted on behalf of Ricoh by Coleman Parkes Research, reveals the extent to which new technologies are impacting the way businesses in Europe manage information, in particular the business critical document processes that underpin operations such as finance, HR and procurement. Organisations surveyed were based within the education, legal, utilities/energy, healthcare, public sector, retail, manufacturing and financial services sectors. The research reveals that, faced with the challenges of an increasingly paperless society and mobile workforce, managing these processes within and between public sector organisations is becoming increasingly complex. Dublin Web Summit ‘Selects the Best! BEE SIGNS On The Move.